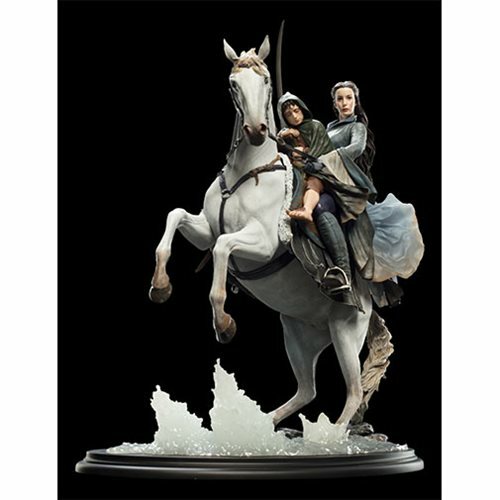 Measures 15 3/4-inches tall and limited edition to 750 pieces! 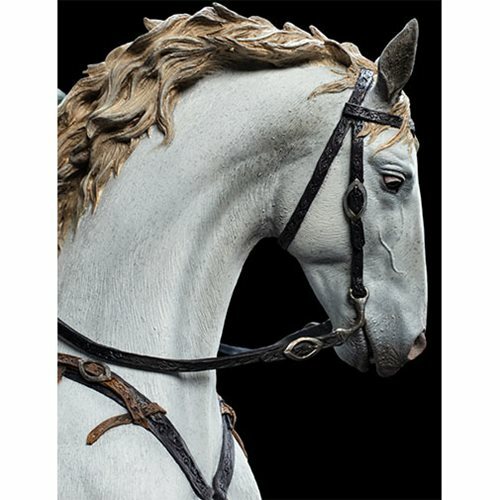 Designed and sculpted by the artists who worked on the films! 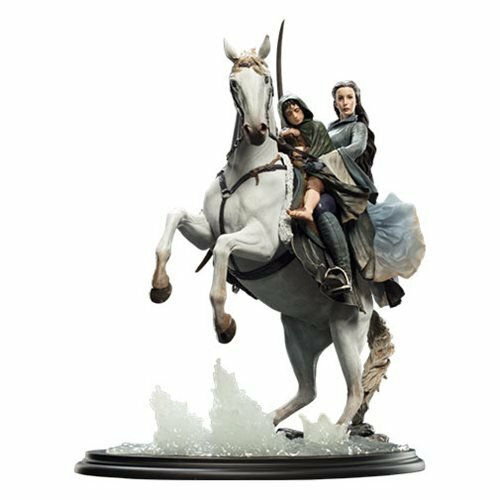 "If you want him, come and claim him!" 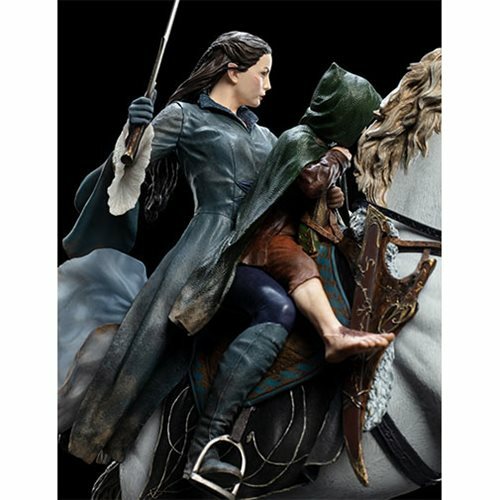 Standing 15 3/4-inches tall, Arwen is prepared for battle with her Elven sword while holding Frodo close. 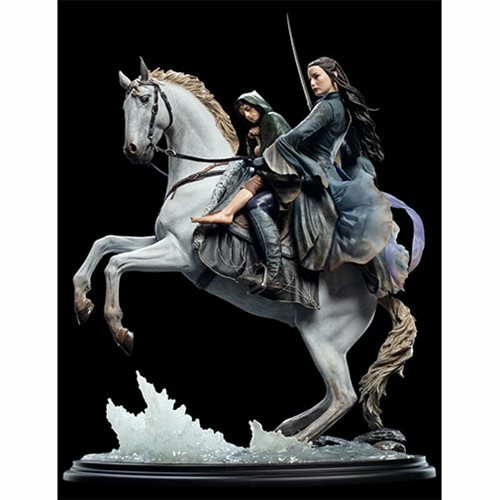 This polystone statue comes to life with fine details like the uncanny likeness to Liv Tyler and Elijia Wood as well as as the detail through out her steed. 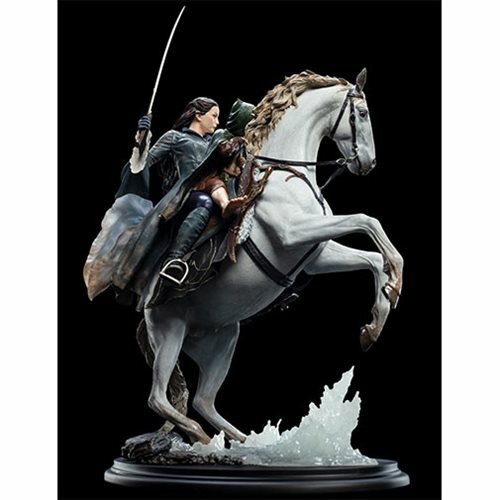 Complete with translucent accents built into the statue, this statue is limited edition to 750 pieces and comes packaged in a closed box. 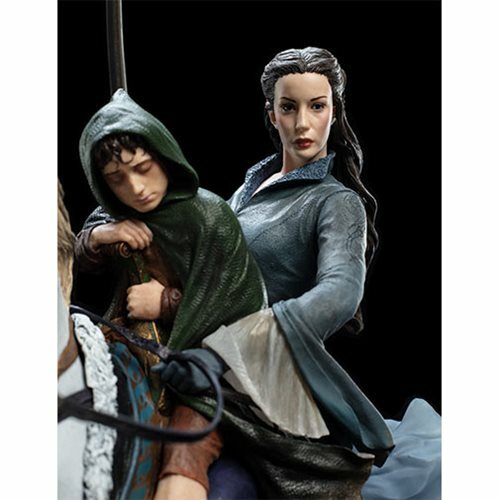 Journey back to Middle-Earth with this The Lord of the Rings trilogy with this Arwen and Frodo on Asfaloth Statue! 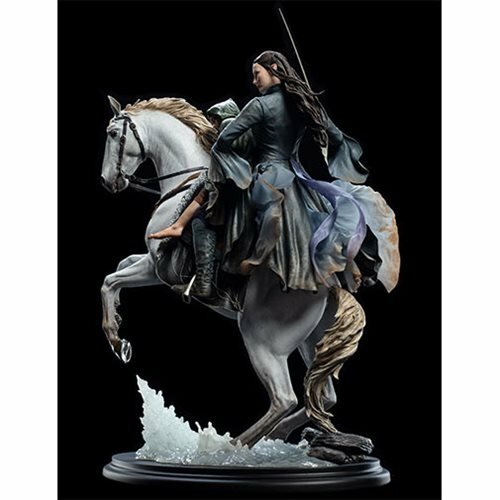 Sculpted by WETA artist Jane Wenley. 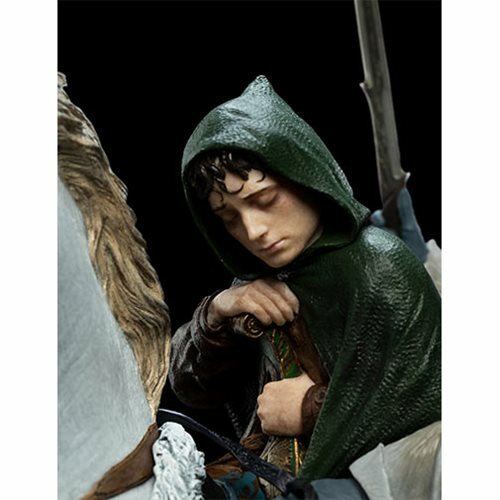 Made of ABS, PVC, POM, and zinc alloy.